Prized for their graceful shape and distinctive bark, birches are often used in home landscaping. Birches are so plentiful throughout the Alaskan wilderness that tapping the trees for sap is growing in popularity. 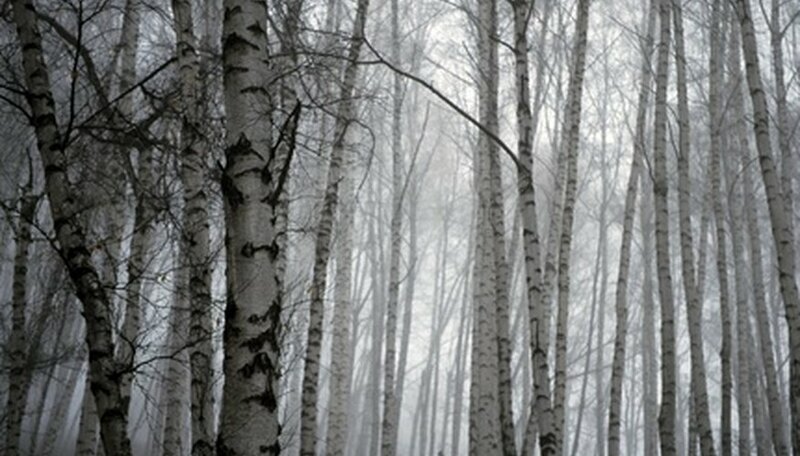 Some species of birch trees can live over 300 years under optimal conditions. However, shallow root systems, drought, lack of sunlight, diseases and insect damage can all adversely affect these trees and reduce a tree's lifespan to less than 20 years. This versatile species is common in the Northeast. A strong, flexible white birch tree can live for 80 to 140 years. Sometimes referred to as Canoe Birch, Silver Birch, or Paper Birch, this tree is clearly identified by its papery white, peeling bark. The name canoe birch derived from the use of these trees by Native Americans for making and sealing watercraft. These are the species most commonly tapped for syrup as well as being the trees most susceptible to damage from birch borers. Grey birch can live for 80 to 130 years. This tree's muted white bark is less paper-like than the white birch and does not peel as easily. Grey birch is distinguishable by rough black spots between the bands of white. The tree's slightly darker color makes it less susceptible than white birch to damage from birch borers. The shade tolerant yellow birch has an average lifespan of 150 years. These slow-growing trees have golden yellow shredding bark that is quite shaggy looking. Crushing the twigs or tapping for sap will release a powerful wintergreen smell and taste. River birch is also a common species in the Northeast. Soil conditions determine this tree's longevity. Acidic soils garner a 25-year lifespan versus the 15-year life expectancy of trees growing in alkaline soils. Not often damaged by birch borers, this tree has brownish-red curling bark. Long-lived, sweet birch trees can survive for 250 years. This species rivals the yellow birch for wintergreen taste and smell. The sweet birch was the sole source for oil of wintergreen for many years. Another special attribute of this tree is that the wood will darken in color when exposed to air. The sweet birch's dark brown bark reduces its susceptibility to bronze birch borer.